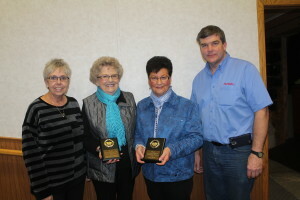 Rose Grossenburg and Joyce Heath were honored as 2015 members of the year by the Winner Community Playhouse. 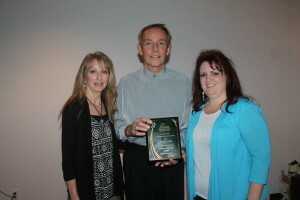 The women were honored at the playhouse annual meeting on Jan. 13 and the presentations were made by Kay Berg. 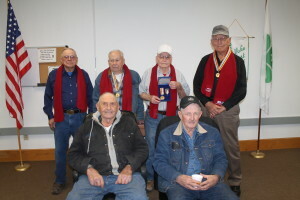 Over 450 South Dakota Korean Veterans received a special honor last Tuesday. It’s gratitude that some say is long overdue. 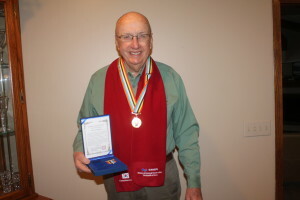 At a ceremony last Tuesday afternoon in the State Capitol and in numerous communities throughout South Dakota, veterans were recognized for their service during the Korean War and were presented the Korean Ambassador Peace Medal. “I thank the South Korean Government and our Governor for the great day and recognition of such a wonderful group of veterans,” said Zimmerman. Frontier Motors was established in Winner in 1966 by Fritz and Hazel Kaiser. In 1988 Frontier Motors purchased Midwest Auto and obtained the GM franchise and moved to its current location. Darrel and Deanna Kaiser took over full ownership in 2009. In December 2015, Darrel and Deanna sold the dealership to Cody Haiar. 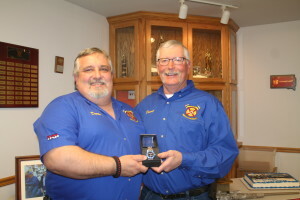 Darin Nelson was re-elected fire chief of the Winner Volunteer Fire Department. 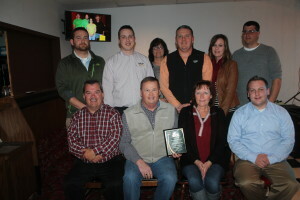 Brent Long was named the employee of the year at the Winner Area Chamber of Commerce Banquet. Long works as a medication assistant at Golden Prairie Manor. He started is position in February 2012. 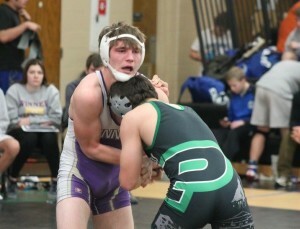 Winner Area wrestling team took 7th place at the tournament in Mitchell on Saturday. The Warriors had four wrestlers place. Colby Curtis took second place as he was pinned in 3:54 in the championship match by Austin Senger of Pierre. Kayleb Brozik took third place as he won 7-2 over E. J. Leetch of Howard. Wyatt Turnqusit and Jayden Schroeder both placed 4th. Turnquist was pinned in 3:54 by Robert Coyle III of Watertown. Schroeder lost 5-2 to Evan Kizer of Howard. The Winner Area Junior Varsity wrestled Saturday in Bennett County. Aaron Gilchrist and Jaikob Week both placed fourth. 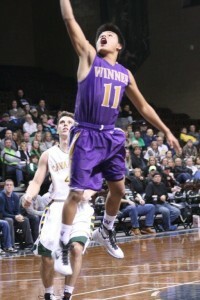 Winner High School basketball team defeated Aberdeen Roncalli 55-47 in the Heritage Classic in Sioux Falls on Saturday. Roncalli is the defending state basketball champion. 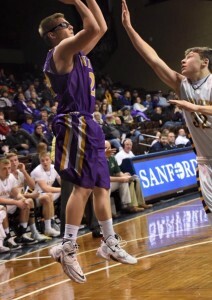 The Warriors had the chance to play in the Sanford Pentagon and with the victory improved their record to 8-2. Devon Leiferman led the scoring for Winner with 20 points followed by Lattrel Terkildsen with 15 and Drew DeMers with 9. 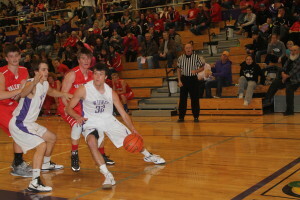 Winner High School boys basketball team defeated Valentine, Neb., 54-35 on Jan. 12 in Winner. With the victory, the Warriors improve their record to 7-2. “We were pleased to hold a team in the 30’s for the third straight game,” said coach Brett Gardner. Leading the scoring for the Warriors was Devon Leiferman with 14 points followed by Drew DeMers and Cameron Kuil, 9 each; Krockett Kroliklowski, 7 and Wyatt Ewing, 6 points. 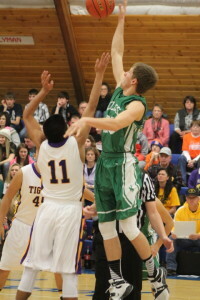 In a thriller that went down to the wire, the Colome boys basketball team was nipped 47-45 by White River in the championship of the Jones County tournament Saturday in Murdo. Reed Harter was named the MVP of the tournament and Holden Thieman was named to the second team all-tournament team. “This was one of the most exciting games I’ve ever been around and one we won’t soon forget,” said Colome coach Drew Weber. “The atmosphere was excellent and our fans really brought a lot of energy to our boys. Although we weren’t able to secure the win we had a chance at the end and that’s all we could as for,” said Weber. 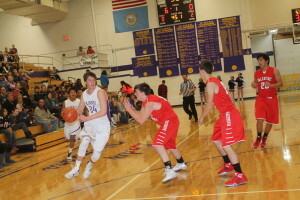 Crow Creek got by the Colome boys basketball team 68-52 on Jan. 11. 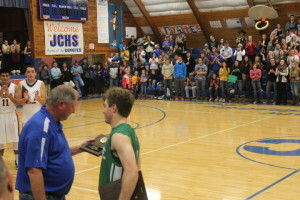 Holden Thieman led the scoring for Colome with 19 points followed by Reed Harter, 14 and Kelly O’Bryan, 10. “This game was a little disappointing in that we just didn’t play as well as we are capable in all facets of the game,” said coach Drew Weber.